The Water Diviner: Russell Crowe's big-hearted movie the "perfect tribute for the Gallipoli centenary"
Russell Crowe makes his directorial debut and plays the lead role in this big-hearted movie about an Australian father who goes in search of his three sons missing in action after they joined the Allied Forces on a mission to capture the Gallipoli Peninsula in 1915. Beautifully shot by award-winning cinematographer Andrew Lesnie in stunning locations both in Australia and in Turkey, including the iconic Blue Mosque, the film stars Olga Kurylenko, Cem Yılmaz and Yılmaz Erdoğan. The story is inspired by the historic events surrounding the catastrophic World War I Gallipoli Campaign, which claimed the lives of tens of thousands. 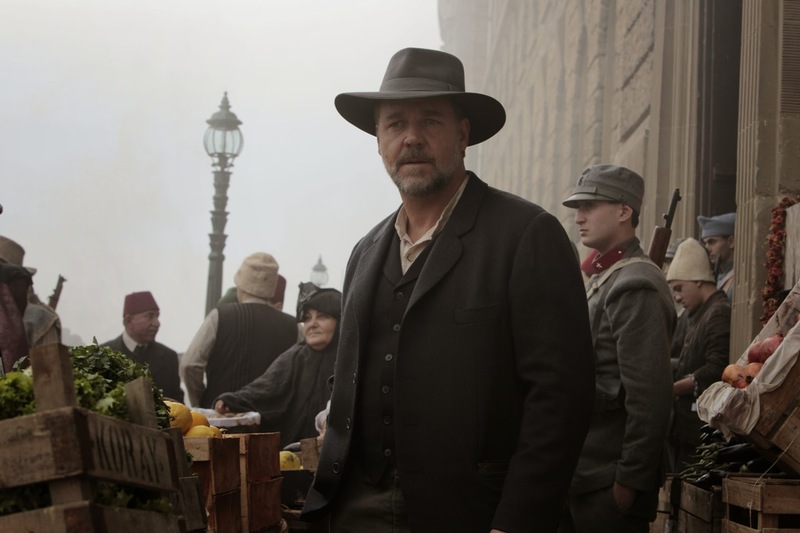 With the war over and no news about brothers Arthur, Edward and Henry Connor, father Joshua (Crowe), a farmer and water diviner, travels to Turkey to discover their fate. On arrival in Constantinople his progress is blocked by military bureaucracy. Aided by a beautiful Turkish coffee-cup-reading hotel owner Ayşe (Kurylenko) and Major Hasan (Erdoğan), a war hero who becomes an unlikely ally, Joshua heads across the tragic, war-torn landscape struggling to find his own peace while desperately holding onto hope. Writers Andrew Knight and Andrew Anastasios crafted the script around a single line found in a letter by Lieutenant Colonel Cyril Hughes, who oversaw the Imperial War Graves unit at Gallipoli “One old chap managed to get here from Australia, looking for his son’s grave.” From this came the incredible story which not only tackles the ANZAC legend, but also the traumatic impact of the war on both sides. The film’s other major Turkish role is Cemal (Yılmaz), described as ‘a beaten lion’. Yılmaz claims the film served no sides, but humanity. “There is no bad guy in this movie, there are victims. Connor has principles, but the Turkish Ottomans have principles and objectives”. 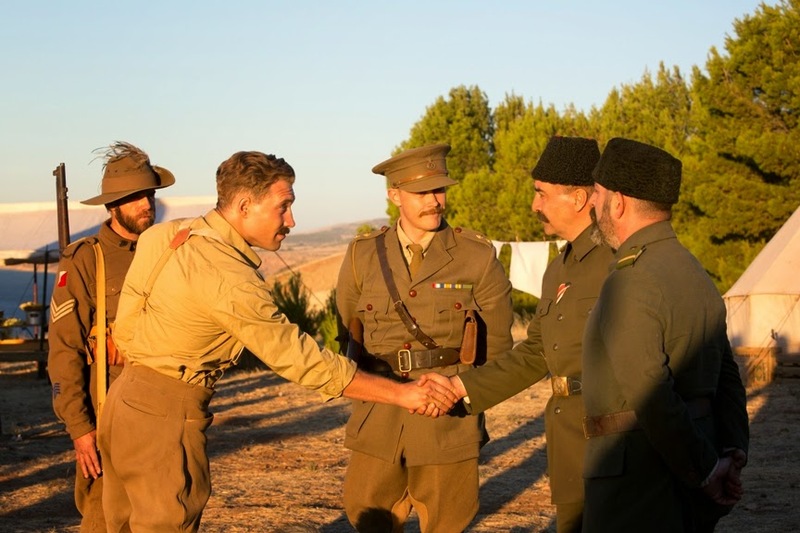 A moral fable about forgiveness, the film is the perfect tribute for the Gallipoli centenary. Mustafa Akıncı has cruised to a second round victory against incumbent Dr Derviş Eroğlu in today’s Presidential Elections to become the fourth TRNC President since the founding of the Turkish Cypriot republic in 1983. Both candidates had run as independents, with Akıncı’s pro-Cyprus unity policy courting most favour with the electorate, as he took every district across North Cyprus bar İskele – traditionally an Eroğlu stronghold. The 67-year-old, who formerly led the Communal Democrat Party (TDP) and served as the Mayor of Lefkoşa, received extensive support from the TRNC’s trade unions and left-wing parties, including the ruling Republican Turkish Party (CTP) whose candidate Dr Sibel Siber was knocked out in the first round. It propelled Akıncı to secure 60.5% of the vote, while political veteran Eroğlu, backed by the National Unity Party (UBP) and junior coalition partner Democrat Party, polled just 39.5%. Aged 77, Eroğlu is now expected to bow out of national politics. At 64.04%, turnout in today’s second round vote was marginally higher than in the first, although far lower than in previous TRNC elections. Renowned Cypriot theatre director Tanju Hastunç brings his stunning production The Wisdom of the Heavens to London. 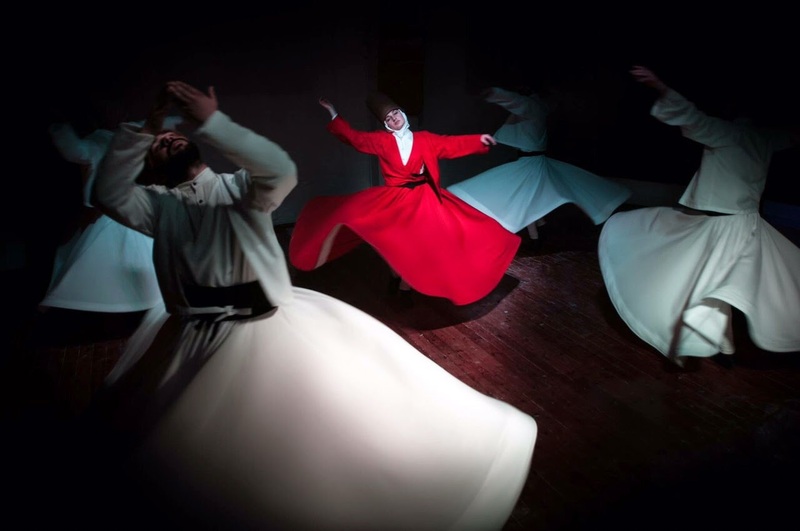 This inspiring show made its global debut at the historic Mevlevi Tekke (now Sufi museum and cultural centre) in Lefkoşa (North Nicosia), where audiences, both locals and tourists, could glance into the tranquil world of Sufism and its whirling dervish culture. This new production, adapted for British audiences, again fuses together music, dance, visual effects and spoken word to present Sufi philosophy and the poetry of 13th century Muslim mystic Mevlana Jelaleddin Rumi. A man for all seasons, Rumi advocated tolerance, equality and brotherhood across all religious faiths. Translated into multiple languages, his poems and life philosophy capture the essence of universal love, peace and harmony and remain as popular as ever today, inspiring many spiritual converts to Sufism. The Wisdom of the Heavens comprises two parts. 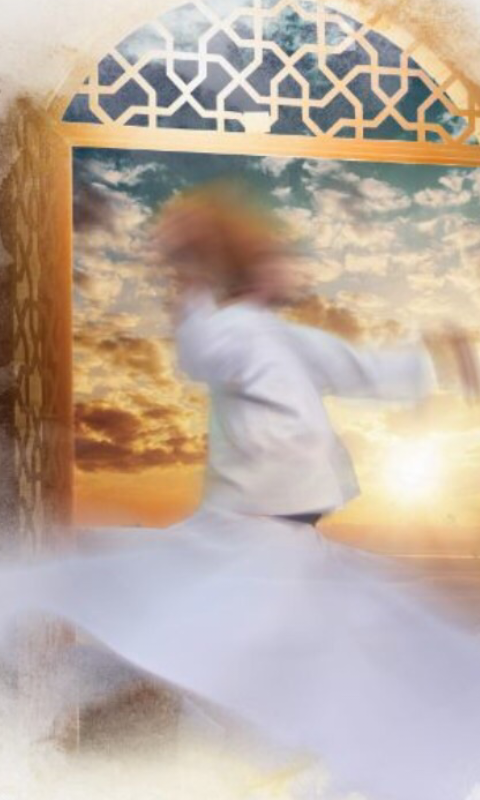 The first is the performance (70 mins) where Rumi's poems will be presented in Turkish and English, as the 'sema' – the whirling dance – is performed by both male and female whirling dancers. After a short interval, guests then participate in a workshop (90 mins) where they can enhance their knowledge, ask questions, learn and practice the basic principles of whirling. The workshop will be lead by Tanju Hastunç. The event is the result of collaboration between the Dance of Light, Most Art Centre and Ayshe Gul Associates, and is sponsored by Cyprus Garden. Also known as Çanakkale Savaşı, this World War I campaign started as an Allied naval assault in March to capture the Dardanelles – a key sea route for their opponents the Ottomans – and open a second Front. On 25 April, the Allies landed 500,000 troops on the Gallipoli Peninsula intending to pounce on Istanbul, but their plans were thwarted. The Ottoman Empire’s diverse communities – Turks, Arabs, Kurds, Greeks, Jews, Armenians and others – came together under Atatürk in a determined bid to repel the invading Allied forces, which included troops from Great Britain, Australia, New Zealand, India, and Ireland. The bitter 9-month battle ended in January 1916 with a famous victory for the Ottomans, exacting a heavy toll on both sides with some half-a-million casualties. Your sons are now laying in our bosom and are in peace. After having lost their lives on this sand they have become our sons as well." 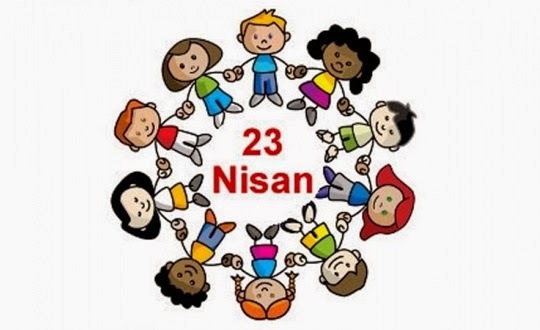 Happy 23 Nisan/April Children's Day! 23 April is the day that Turkey's Parliament first met back in 1920. A few years later, this same day was gifted by Mustafa Kemal Ataturk to children - the future of any nation. From then on, 23rd April became known as National Sovereignty & Children's Day, celebrated in Turkey and many other countries around the world. 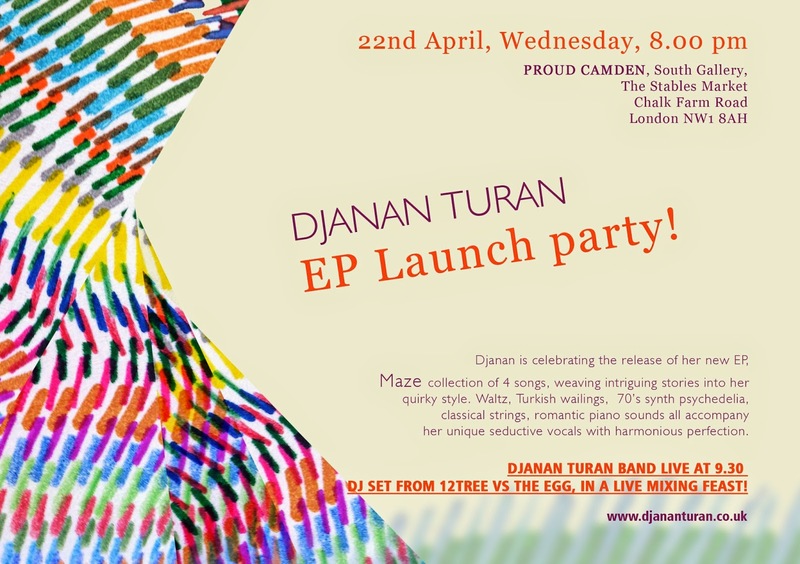 Singer-songwriter Djanan Turan takes to the stage at the Proud Gallery tonight to perform tracks from her eagerly awaited new EP Maze. The launch event is a treat for her fans who helped finance the EP raising over £4,000 via Kickstarter in December. Since then Djanan has been working with Raz Olsher, producer of Sam and The Womp’s UK number one hit BOM BOM, at Fossil Studios in London to produce the new material. Three of the 4-track EP includes several songs Djanan penned: Maze, Drive and Brother. The final track, Feels Right, was co-written with acclaimed underground electronic music band The Egg. A fusion of folk and psychedelic influences, Maze is a colourful musical journey where Djanan weaves intriguing stories in her own quirky style. The Waltz, Turkish wailings, 70’s synth psychedelia, classical strings, and romantic piano sounds all accompany her unique seductive vocals with harmonious perfection. Warming up the crowd will be the talented singer and multi-instrumentalist Leonie Evans performing a solo set. Concluding the night will be a DJ set from The Egg. There was no outright winner from yesterday’s Presidential Elections in the Turkish Republic of Northern Cyprus. A total of seven candidates stood and as predicted, none could pass the fifty percent threshold to avoid a run-off. The top two candidates, incumbent Derviş Eroğlu from the TRNC political right and backed by the National Unity Party (UBP) and Democrat Party, and left-wing candidate Mustafa Akıncı, the former head of the Communal Democrat Party (TDP) between them polled 55% of the vote. They will now fight it out in a second round vote that will take place this Sunday, 26 April 2015. Some 62.34% of the TRNC electorate turned out to vote yesterday, down on previous elections. The results for the top four were far closer than predicted, with Kudret Özersay making the biggest leap given his earlier poll standing of 7%. Assessing the voting for each of the TRNC’s five districts, Akıncı came top in three and Eroğlu in the remaining two. Akıncı received the greatest share of votes in the capital Lekfoşa with 31.27%, while Özersay beat Eroğlu into second place on 23.23%. In the TRNC’s second biggest district, Eroğlu topped the voting in Mağusa, with Siber second and Akıncı fourth. In a tight contest in Girne, Akıncı polled the most votes, followed by Özersay and then Eroğlu with less than 2% between the top three candidates. Akıncı won in Güzelyurt, some 1.5% ahead of Eroğlu. However the incumbent romped home in İskele on 37.47%. All four British Parliamentary candidates of Turkish heritage have agreed to take part in a special hustings event being organised by T-VINE Magazine a week before the UK General Elections. Open to all members of the public, the debate – in English – will be hosted by the Turkish Cypriot Community Association (TCCA) in Harringay on the evening of Wednesday 29 April 2015. Representing Britain’s three main political parties, Gönül Daniels, Isabel Sigmac (both Conservative), Turhan Özen (Liberal Democrat) and Ibby Mehmet (Labour) will participate in the ‘Question Time’ style event to be chaired by T-VINE columnist Ertanch Hidayettin. During the two-and-a-half-hour debate, each candidate will be given the opportunity to talk about their party’s policies on core issues including the economy, education, employment, housing, crime, foreign policy, immigration, and youth, as well as answer questions from the floor. One of the important aims of this historic event is to present young British Turks with positive role models, allowing them to hear first-hand how and why each of the candidates got involved in their chosen parties, and the process and challenges involved in becoming selected as a Parliamentary candidate. 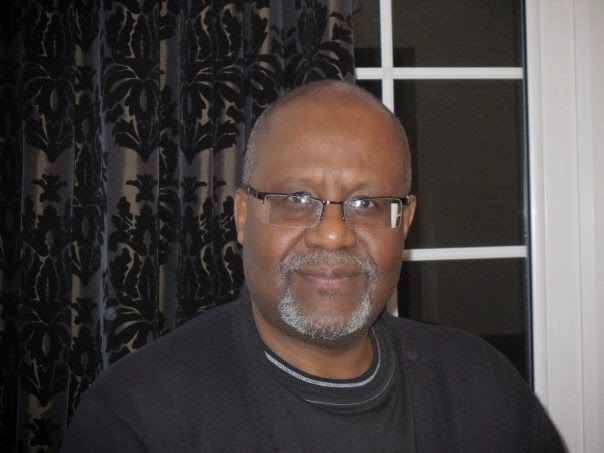 In doing so, T-VINE and TCCA hope to encourage community members to participate more fully in mainstream British political life, with increased numbers voting during UK elections and also joining those political parties that best reflect their interests and values. Entry to the event is free and open to all members of the public, and no prior booking is needed. Those heading to the event straight from college or work can purchase beverages, delicious hot Cypriot meals and a selection of mezze dishes from TCCA’s Cyprus Kitchen, which will be open before and after the hustings. Transport & parking: the venue is well served by public transport, with Turnpike Lane the nearest tube. On street parking is possible in many side streets and in designated areas on the main road after 7pm. Next Sunday, the Turkish Republic of Northern Cyprus will go to the polls to elect a new President. Seven candidates are vying for the political hot seat, including incumbent, Dr. Derviş Eroğlu. The TRNC operates a Parliamentary political system, which means the Presidency is primarily a symbolic role. However, since the times of the first TRNC President Rauf Denktaş, who remained in power from 1983 to 2005, the TRNC Parliament has bestowed upon its President the right to represent the Turkish Cypriot people at the Cyprus negotiations – traditionally seen as the most critical issue facing the country. According to the opinion polls, none of the candidates will garner enough votes in the first round on Sunday 19th April to avoid a run-off. However, up to a fifth of the electorate remain undecided. Last month, Girne American University’s (GAU) Research Centre asked 1,532 TRNC citizens about their voting intentions. Dr. Eroğlu, at 77 the oldest and most experienced candidate, is predictably in front on 33%. The Republican Turkish Party’s (CTP) Dr Sibel Siber, the sole female candidate, received 23%. Standing as an independent, former TDP leader Mustafa Akıncı is polling 16%, while former presidential aide Kudret Özersay was on 7%. The three remaining candidates – Arif Salih Kırdağ Mustafa Ulaş and Mustafa Onurer (the Cyprus Socialist Party candidate) – have less than 2% between them. A fifth of voters had no preference or said they would not vote at all. A poll by Gezici presented a somewhat different picture: Eroğlu and Akıncı are neck and neck, with 31% apiece, followed by Siber and Özersay on 25% and 11% respectively. Most of the 3,000 people Gezi polled had a preferred candidate, with far fewer undecided voters. Both polls suggest a second ballot is likely and this will be a close call. However, the stats suggest a left-wing candidate will edge it. In terms of the primary issue for voters, just under a quarter say they will back the candidate their party endorses. 23% will decide according to what the candidates have to say on the Cyprus Problem. A fifth of the electorate are more concerned with the candidates’ views on domestic issues, with some 13% will decide according to the candidates’ attitudes towards Turkey. For many, CTP candidate Dr Siber’s selection over former President Talat was controversial. Many believe she does not have the knowledge and experience to sit at the negotiating table. It could well be that Özdil Nami, the TRNC’s Foreign Affairs Minister and a far more experienced politician on the international stage, would step up to be the driving force in the talks if she is elected. Her inexperience has shown with a fair few gaffs on the election trail particularly in her analysis of the Cyprus Problem. Yet the TRNC’s top female politician impressed during her short spell as Prime Minister and as the current Speaker in Parliament, and she polled the most number of votes in the 2013 General Election. The prospect of becoming the TRNC’s first female President, one that is committed to ‘clean politics’, is proving popular particularly among female voters. In terms of policy, CTP helped shape the current political tableau during Talat’s reign (2005-2010). As Prime Minister, he led Turkish Cypriots to vote ‘yes’ to the Annan Plan in 2004 and CTP remain firmly committed to a bi-zonal, bi-federal solution, and the UN talks. If Siber takes the Presidency, we can expect more activity on the international stage, but in practical terms there will be little policy shift. Incumbent Eroğlu has remained the front runner from the start of the race, pledging to follow the path of TRNC founding president Rauf Denktaş. 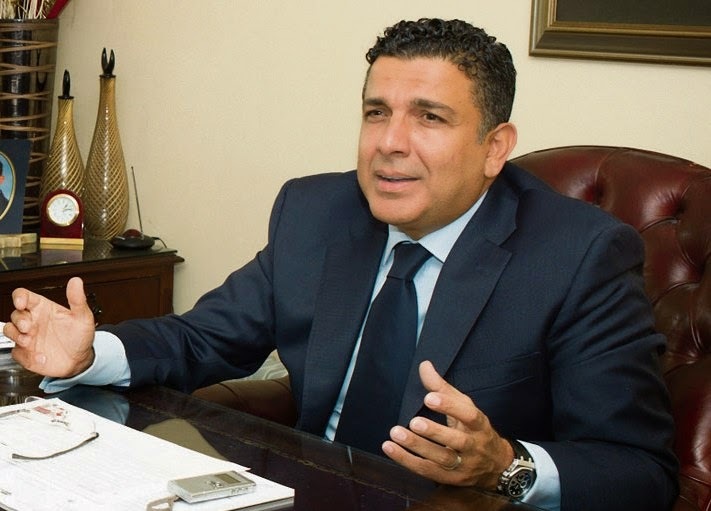 While independent in name – as the TRNC Constitution requires – he remains a heavyweight within the National Unity Party (UBP), which he led for decates. He is also backed by Serdar Denktaş’s Democrat Party, helping him to garner pretty much all of the voting public that is right-of-centre. Compared to his predecessor, Dr Eroğlu’s term as President has been passive in regards to engaging and influencing world leaders and other key actors in the international arena. Yet many voters regard him as a ‘safe pair of hands’, steadfast in upholding the fundamental rights of the Turkish Cypriot people and someone who will not be bullied into a bad deal for North Cyprus. He is also the most pro-Turkey. His failure to advance the Turkish Cypriot cause during his first term does not matter to his conservatives supporters, who are happy with more of the same. Can the Turkish Cypriots afford five more idle years of the Cyprus talks? Akıncı argues not. A popular politician, he has a strong following among the Turkish Cypriot Left due to his track record of collaborating with Greek Cypriots, including throughout his three terms as leader of Lefkoşa City Council and as Opposition Leader of TKP (TDP’s predecessor). He is wedged to the idea of a united Cyprus based on the established UN principles and while he is confident he can find a breakthrough where his predecessors failed, there are no new ideas on how. The era of optimism that ushered in the ‘Yes’ vote and Mehmet Ali Talat as TRNC President during 2004-5 are over. At that time, world leaders assured Turkish Cypriots that their isolation would end. Talat, also with a history of working with Greek Cypriots, felt these relations would enable him to forge a new partnership deal with the South. Neither materialised, ultimately costing Talat his re-election in 2010. It’s highly unlikely that talking utopia in 2015 will be enough for Akıncı to win over the electorate. A dark horse in these elections is Kudret Özersay. At 41, he is the youngest and most progressive of the four main candidates. An academic by profession, he also has the most experience of the talks, having served as an advisor to all three Turkish Cypriot Presidents. He has put ‘clean politics’ at the heart of his campaign and as a co-founder of the ‘Toparlanıyoruz’ movement, Özersay has form. His manifesto sets out a raft of internal reforms to root out the country’s corrupt political practices, to be replaced by greater transparency, accountability and the rule of law that will improve democracy in the TRNC. Özersay calls on the younger voters not to give up on their homeland, but to help drive a new era of change. To get the Cyprus talks moving, he believes in bold measures. 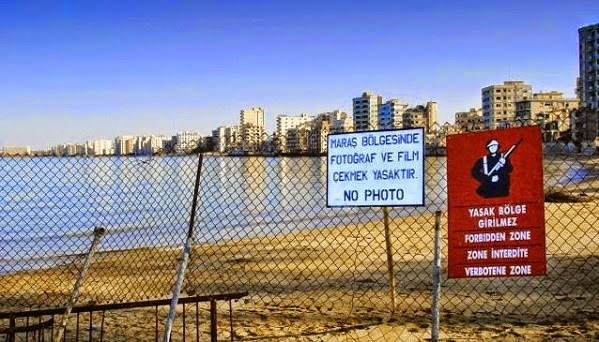 He would, for example, open up the ghost city of Maraş (Varosha) under Turkish Cypriot control, enabling its lawful owners to take possession of their properties. This would, he claims, both remove a major stigma that the city is no longer under Turkish military control, while also sending a message to the world that Turkish Cypriots are tired of waiting and will, if necessary, take unilateral steps to improve their lives. Turnout is normally high in TRNC elections; the last presidential elections in 2010 saw 76% of the electorate cast their vote. Should no candidate poll over 50%, then the top two will be involved in a run-off that takes places a week later on 26 April. The 2013 Census showed the TRNC population to be 286,257, of which 80% are citizens. A similar number of Turkish Cypriot citizens live abroad. However, no provisions have been made to allow them to vote. This contrasts sharply with Turkey, who runs a major campaign for its overseas citizens to participate in all elections, enabling them to register and cast their votes via their local Turkish consular offices. While Diaspora community leaders have long pressed for voting rights for Turkish Cypriots living abroad, they have been repeatedly rebuffed by all TRNC political parties. 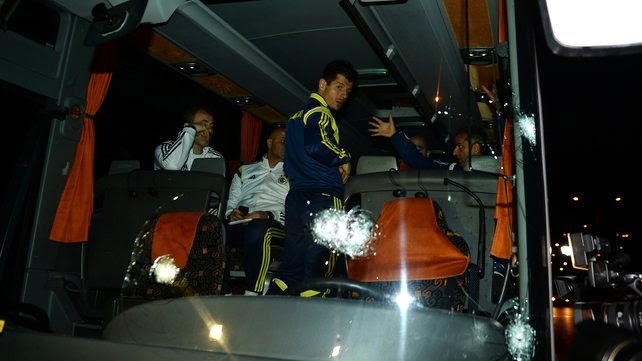 A gunman came close to causing a major tragedy after shooting and injuring the driver of the bus carrying the Fenerbahçe team after their match in Rize. The shooting happened as the Turkish Super Lig leaders were making their way back to Istanbul having beaten Rizespor 5-1. Several shots rained down on them, shattering glass and hitting the driver in the head, who was taken to hospital. The bus was travelling along a viaduct when it was shot at – but for the reflexes of the security guard sitting next to the driver, who managed to slam on the brakes as the injured driver collapsed at the wheel, the bus could have toppled down the ravine with tragic results. The incident has been condemned by both the football and government authorities, with Prime Minister Ahmet Davutoğlu stating that an investigation was under way. Although none of the players or other staff onboard was injured, the deliberate hit has shaken the entire team. His sentiments have been echoed by many other foreign players at the club, whose families have urged them to leave Turkey following the rise in violent incidents across the country. They include a spate of bombings and the recent killing by a radical left-wing terrorist group of Mehmet Selim Kiraz, a leading Turkish prosecutor in an Istanbul courthouse. Senior officials from Fenerbahçe have called for the suspension of the league until security matters have been assessed. Fenerbahçe, who have former Premier League players Dirk Kuyt, Raul Meireles and Emre Belozoglu in their side, are the defending champions and have won the major domestic competition 19 times. The Istanbul-based team went top of the table with their victory on Saturday, one point ahead of rivals Galatasaray. During my last holiday in Cyprus, I had the opportunity to visit the Centre of Visual Arts & Research (CVAR) – a wonderful new museum in South Nicosia. I went a few days after the grand opening of the Centre of Visual Arts & Research (CVAR) by Greek Cypriot President Nicos Anastasiades. Located on Ermou Street, within the historic walls of Old Nicosia, it is a 10-minute walk from the Turkish side via Lokmacı border gate. The headquarters of the Costas and Rita Severis Foundation, this non-profit organisation provides a permanent platform for Cyprus’ multi-cultural heritage. It comprises of a 4-storey exhibition area, research centre, conference hall, café, with roof terrace and gift shop. The building was originally an Ottoman Han (inn) that was converted into a flour mill in 1953, then restored and re-opened as an exhibition centre in 2014. CVAR has a mixture of displays to represent the history, life and colourful culture of Cyprus: the Ottomans, British and Cypriots are all represented and the exhibit information panels are written in Turkish, English and Greek. As you move up a sloping walkway, you rediscover Cypriot costumes, art and craft from the 18th, 19th and 20th centuries. There are a plethora of posters, objects and costumes from Cyprus’ past, along with more than 1,000 paintings on display. Explore the historic sets including a British Officer’s study, the Whirling Dervishes of Cyprus and peer into an old Cypriot home. There is access to archives with photographs and documents on Cyprus. CVAR also houses a library with over 5,000 books available, and hosts a wide range of activities to promote peaceful co-existence. From CVAR's unique location, visitors can also admire the tiled roofs, palm trees, and countless churches, mosques and monuments of old Nicosia. I was very impressed with this museum and I strongly recommend to everyone connected with Cyprus to visit and see for themselves. Address: 385 Ermou Street, 1017, South Nicosia.